It’s here Pre-Thanksgiving Holiday Sale !!! Hi everybody, can you believe how fast this holiday is just sweeping by? 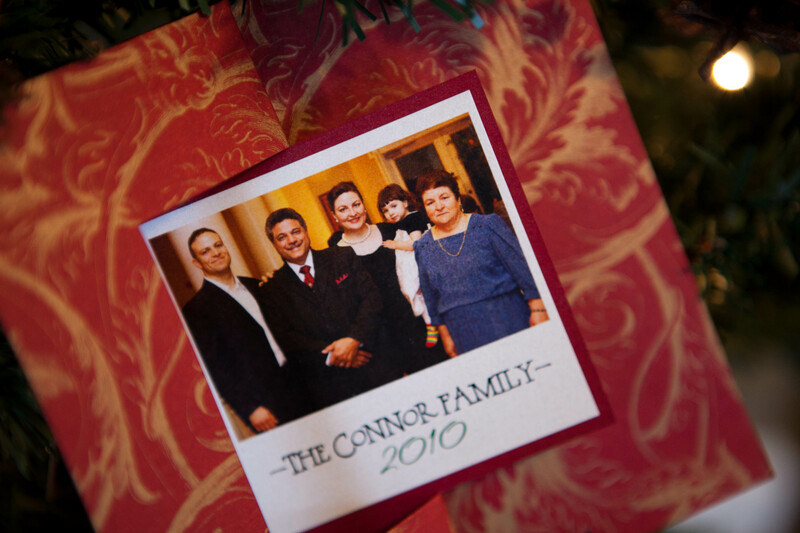 Before we know we are preparing our shopping list and looking forward to yet another annual feast, Thanksgiving! At the Village Shops, we have much to be grateful for, first of all, health, shelter, family & friendship! As many of you know, we are celebrating our First Holiday Season here since opening our doors October 1, 2010, and we want to mention some of the wonderful deals at the Gallery & Shops! 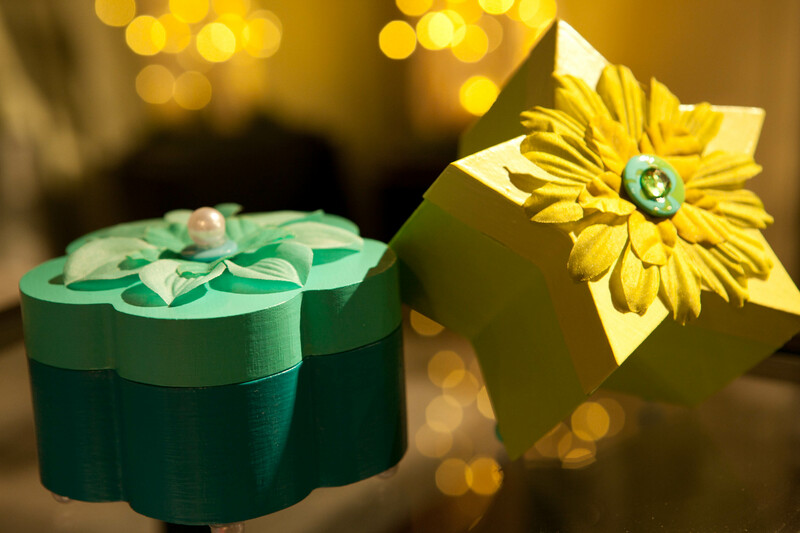 Take a peek at some of the lovely, hand treated and painted jewelry boxes by Kate Peterson! They are adorable, fun, and a GREAT gift for the holidays! BONUS: Make a qualifying jewelry purchase and receive these little beauts at 15% OFF! 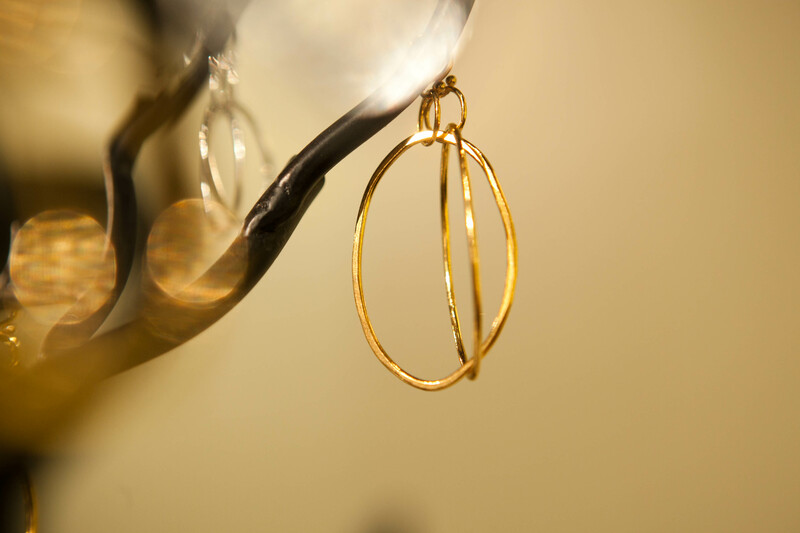 Kate is also offering gorgeous sterling silver, and gold hope earring designs, who wouldn’t LOVE these? So come and see all that is on sale NOW through the Holidays and see why you are going to be glad you did! When we said we are having a sale, we mean it! Please come by the shops and meet us, we would love to show you around and have you take advantage of these amazing specials offered now through the Holidays. 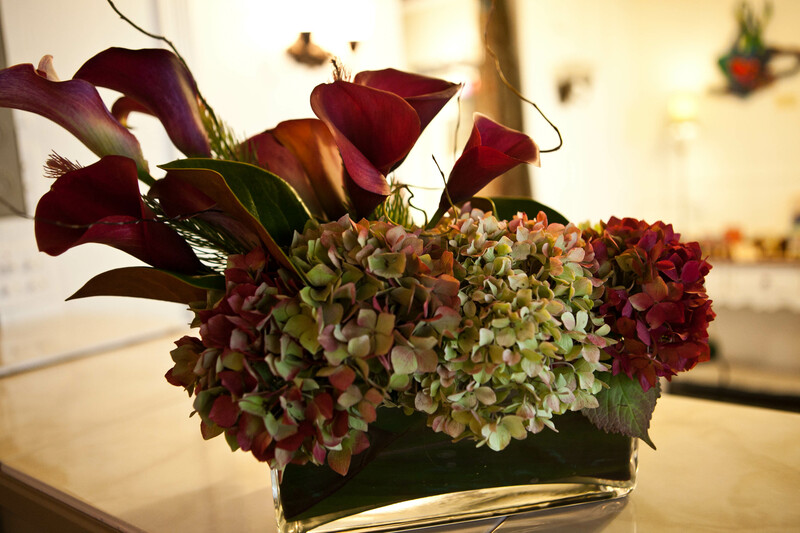 RJ Events is offering 20% off of all decor and floral arrangements through the end of 2010!!! Free hand-served hors’ oeuvres with select Holiday sit down or buffet dinners! 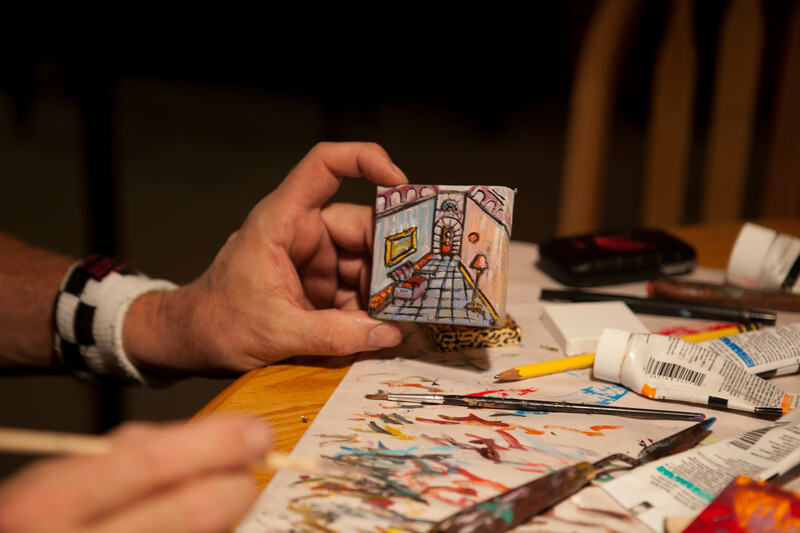 Yesterday I came into the gallery only to find Mark Canepa sitting at the art table making these lovely mini paintings. I think this is such a great idea because EVERYONE should have art in the home and these tiny little painting are larger than life. There is so much color, passion and talent poured into these little ones, you are going to love them. And now through this Holiday Season, Mark is offering these minis (which make amazing gifts & stocking stuffers), for just $25.00!!!!!!! 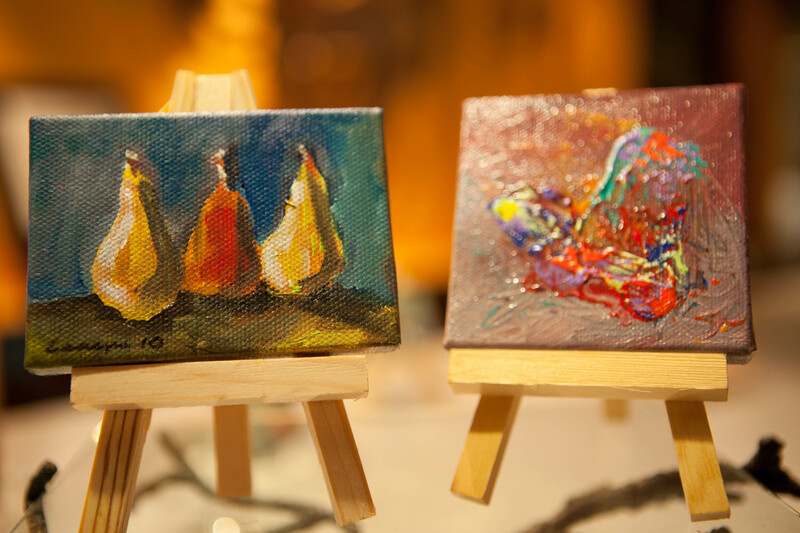 Hurry as these will not last, several people make a trip to the gallery just to get these, so don’t be left out in the cold and get your Mini Painting w/easel NOW! And what is a Holiday without Holiday Portraits!? How many times have you said that you have to get the family into a studio for a Holiday Portrait and you never make it!? Well YStudio Photography is offering amazing options for busy people just like you! 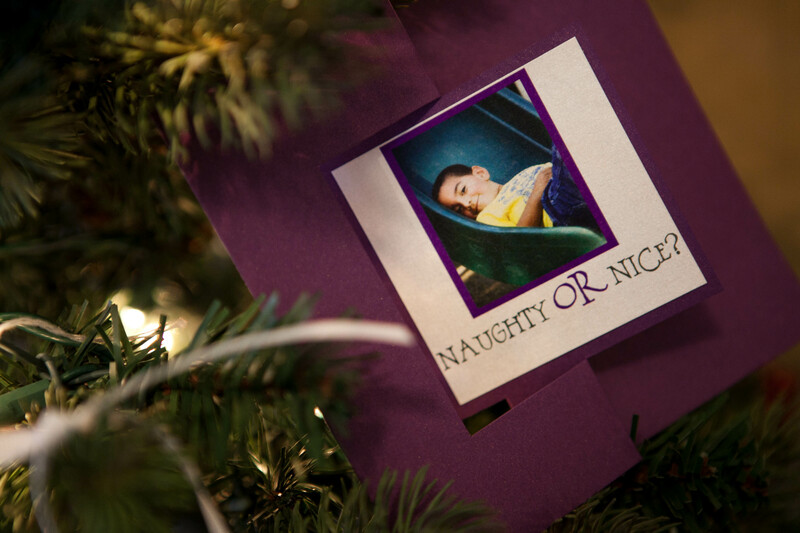 Gorgeous Holiday Twisty Holiday Cards. Right now through the Holidays, you can have your portrait session and receive a set of 20 of these lovelies for just $199! And if you do not have time to come into the studio simply give YStudio your digital hi resolution file, and they will customize your card design. Get a set of 10 for just 69.99!!! The possibilities are endless and I love the creativity and the variety of items that can be made via digital photography. 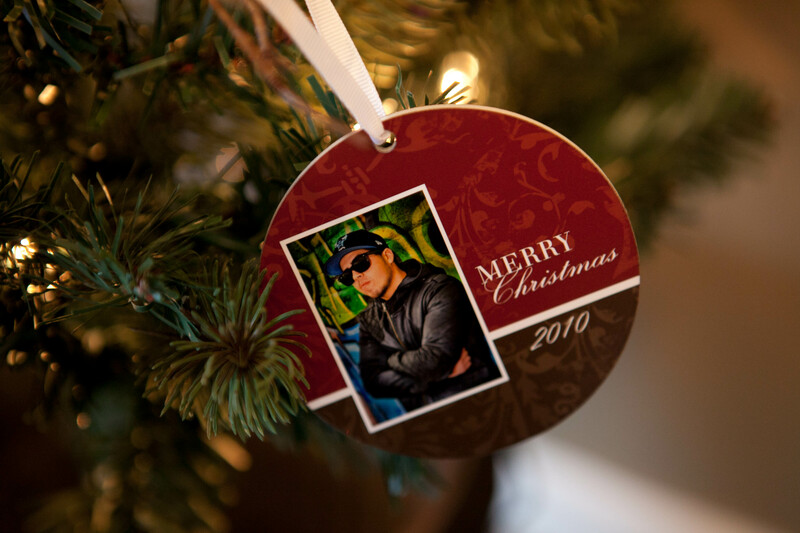 Take for instance these amazing Holiday Ornaments. 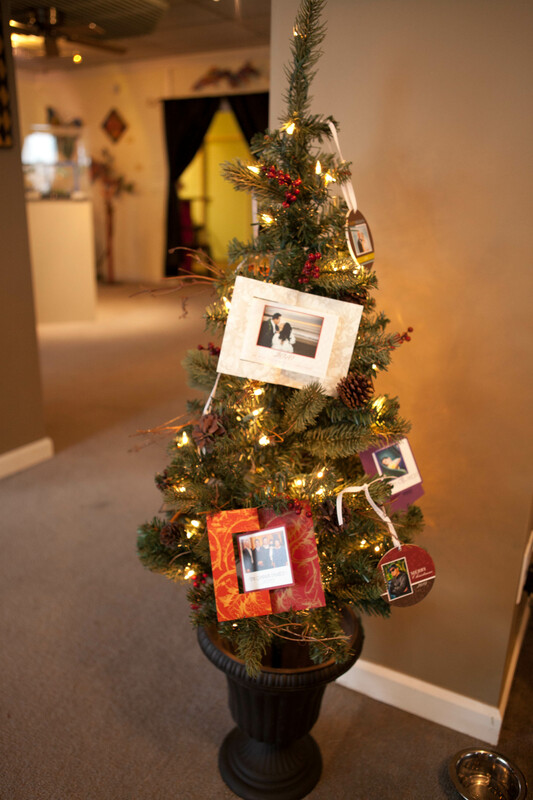 Our clients love them and they come complete with 2-sided printing and a white ribbon for hanging. 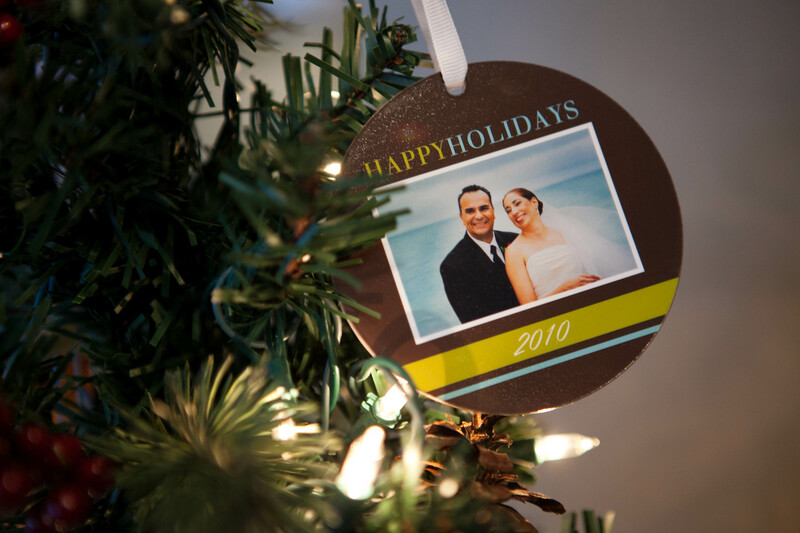 Some clients double up on the use of these photo ornaments, they use them as gift tags as well and folks can use them as ornaments as well. There are no more excuses! Come in for your portrait TODAY! El Cerrito Lighting Liquidation Sale!!! Well, you asked for it and you are getting it! A big PHAT Sale on our lighting inventory! Come by and see the amazing collections that will be made available at a heck of a deal! Gorgeous chandeliers, pendant lights, sconces, and much much more! You have to see to believe! The sale starts November 10th and will continue through November 20th! If you are re-decorating, or just want some nice NEW lighting fixtures, THIS is the place to come to! Don’t miss the sale, we have tons of folks who have already RSVP’d so you will NOT want to miss this great opportunity! Our hours are 12:00 p.m. – 5:00 p.m. Call the Village Shops gallery if you would like more information! 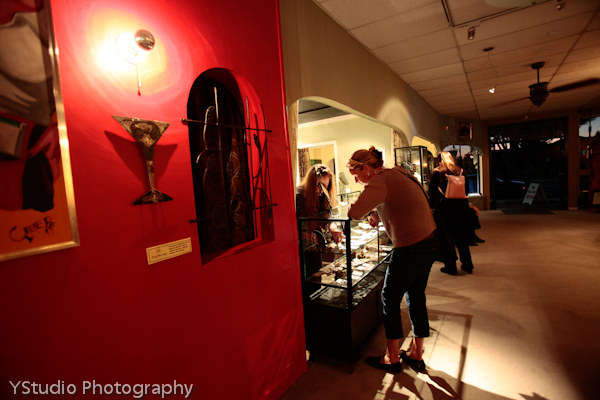 If you haven’t been to the former El Cerrito Lighting, you haven’t seen the LIGHT! Open Art Studios in El Cerrito!! 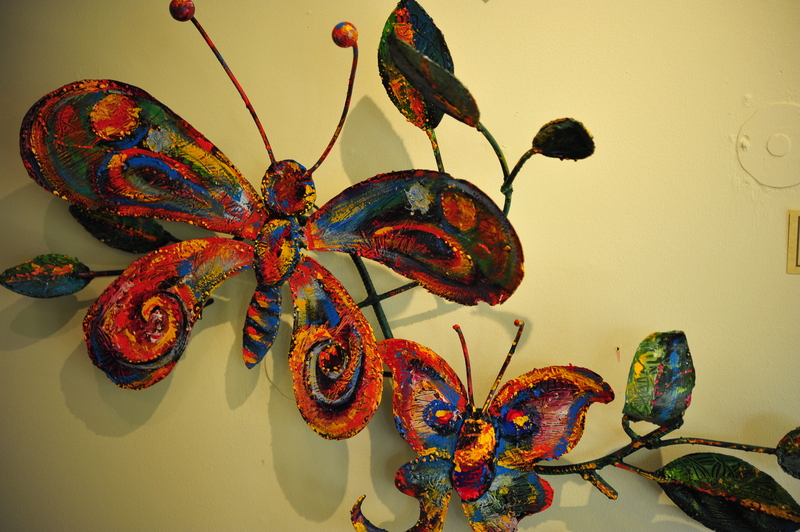 The East Bay Village Shops of El Cerrito invites you to their open Galleries to the Public! The Village Shops opened their doors officially on October 1, 2010 and they are pleased to announce their regular gallery hours are Tuesday through Saturday from 12:00 p.m. – 5:00 p.m. The Artists invite you to be their very special guests! Current: “35 Years of Art” by Mark Canepa, Kate Peterson Jewelry Designs, a local YStudio Photography – a local Wedding & Portrait Photographer and more! See ya at the Gallery! Pumpkin Carving Contest & Trick or Treats! The East Bay Village Shops in El Cerrito would like to invite the entire family to a day of fun and fright! 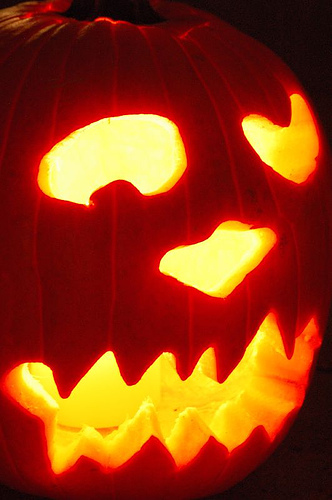 We will be hosting a Pumpkin Carving Contest (please bring your carved and completed pumpkin). There will be hundreds of dollar in prizes as well for age groups of 12 and under, 12-20, as well as 21 and over. The deadline for registration will be Wednesday, October 27, 2010. Please ask us about our registration form for all of the contest details. When: Saturday, October 30th, 2010 from 12:00 p.m. – 5:00 p.m.
Children 12 and under are welcome to visit each of our shops for safe trick or treating when accompanied by an adult. and LIKE us at our Facebook page! Here I am gathering my thoughts and words to blog for the Village this morning and while talking with my dear friend Juli, and she spurts out “it takes a Village!” This saying just totally summed it up for me and here I am, sharing and blogging about how this community is on fire and ready to take El Cerrito by storm! I remember one day checking out Craigslist and looking for photography equipment for sale, when I came across an ad offering Artists Space Rentals right here in El Cerrito! I could not believe this and as a photographer and artist look for a space myself I thought, how appropriate! I have not lived here too long, as a matter of fact we bought our home in 2006, and our home is split right down the middle with 50% percent in El Cerrito and the other 50% in Richmond! Anyways to make a long story short, I love this city but always thought it needs something a lot of THING, and here is this ad offering space! When I met Mark Canepa, (an eco-friendly and green artist who utilizes materials for local recycling sources), and his assistant at the time, Dyana, I got so excited because not only is there history in the building there is history in Mark Canepa! I immediately expressed my interest in being a part of this fabulous team and village, and well here we are! I am happy and proud to be among many of the artists here who are bring the ART scene to life in El Cerrito. It really does take a village, and we are committed to reach out to the community as well as surrounding communities to offer an exciting and NEW look and feel and service to this city. We have a great team and with further support from friends, family, loved ones and the city, we can do this….but, IT TAKES A VILLAGE! And visit us online on our Facebook Fan Page, we could use more friends like YOU! El Cerrito has an ARTbeat afterall! El Cerrito’s Village Shops have opened their doors! We are an art thriving, no jiving community of artists who offer our passion, our cultures and our work with the world. We have recently opened the doors and we are OPEN for business to share the experience and the works of art with El Cerrito and beyond. 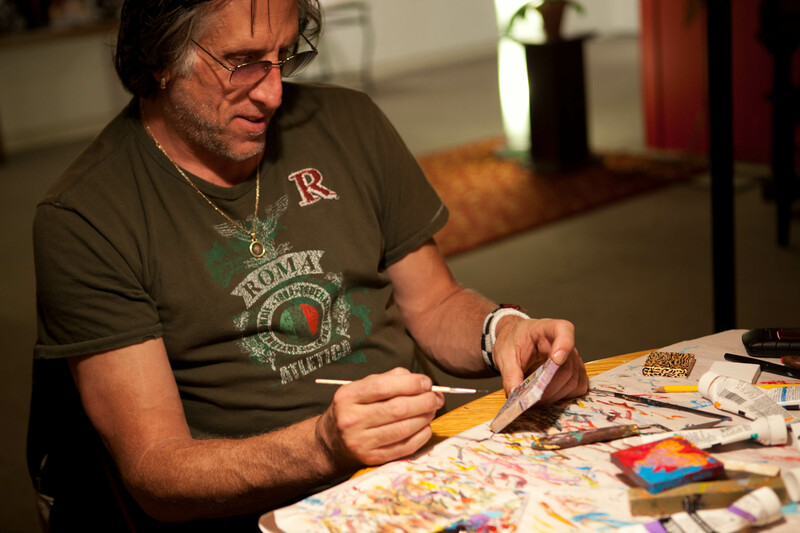 The Village Shops features Mark Canepa, who has been a successful and artist in demand for over 35 years. Also at the shop is gifted and talented Jewelry Designer, Kate Peterson. Adding to the mix with flair, style and elegance is Russell Jacade of Russell Jacade Event Designs , also on the bill is young talented painter, Hayley Ferreira, and we can’t forget Wayne & Barbara Yasuhara of YStudio Photography who are acclaimed Destination Wedding/Portrait & Lifestyle Photographers. 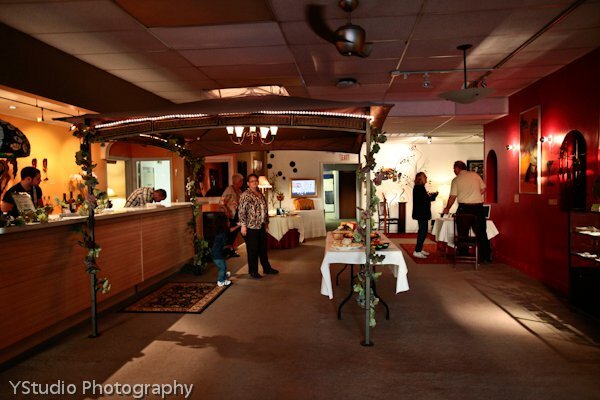 The shop (formerly El Cerrito Lighting), has been made over with beautifully decorated walls, eccentric lighting, gallery displays and an ample space which can easily accomodate a private event. 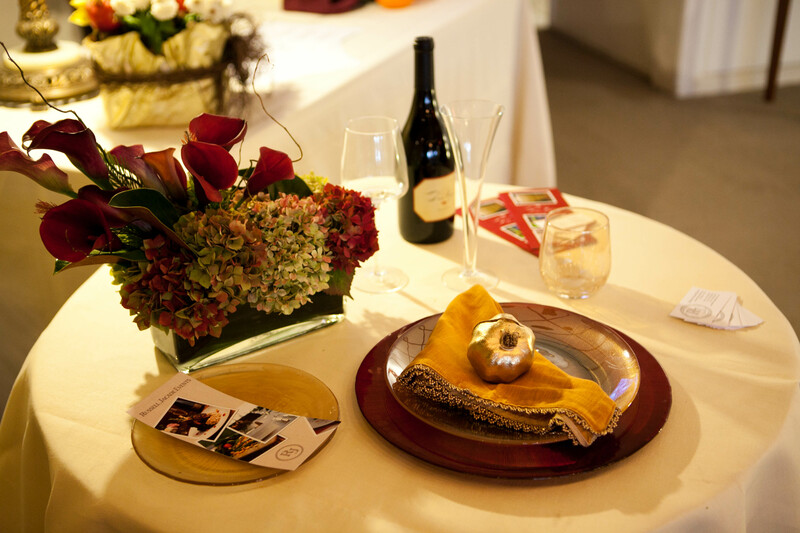 The East Bay Village Shops welcomes you if you are an artist and wish to inquire about space rental, or if you need a venue where you can host your friends and guest for a reception, conference, meetings or any other reasonable gathering. Please call the EBVS or come on down during our Gallery hours Tuesday-Saturday 12:00 p.m.-5:00 p.m.
We are excited to bring the art scene back to El Cerritans and to folks from here, there and everywhere. See you soon!! So long Elizabeth until we meet again….